We manufacture a wide range of wooden and glass vivaria in our own manufacturing facilities. 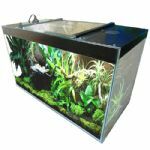 This means that we can produce almost any size and design vivarium. 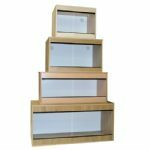 We have standard ranges to suit vertually all reptiles. Please do not be afraid to ask for advice if you are unsure of which product will be best for your reptiles particular requirements.